First of all we want to thank all of you who backed us to make this project happen. We’ve reached over 80,000 € in 45 days, with the help of 153 backers ! 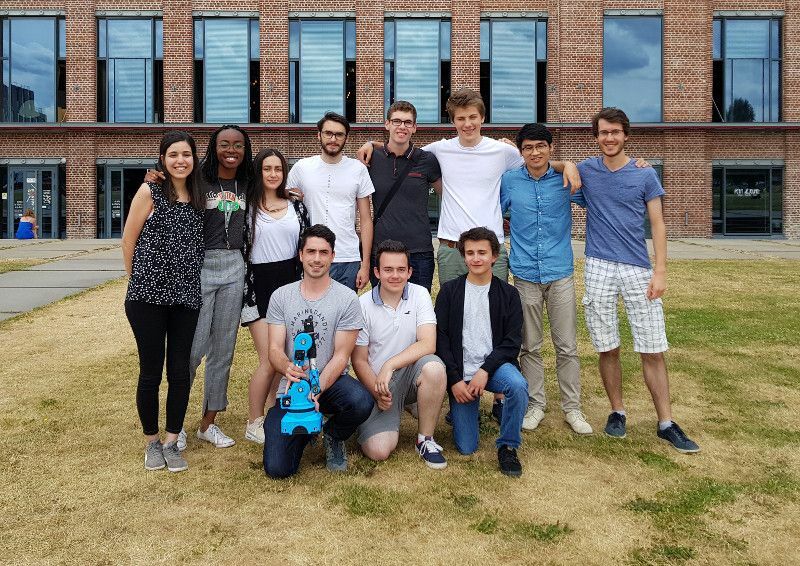 We’ll now finish the last modifications about the robot we will ship, and start the production in July so everyone can get the robot on September. STL files and source code will also be released after the first shipments of the product. We are really motivated by the result we’ve gotten on Kickstarter, we know that our product meets real needs, and we can’t wait to start getting the first users feedback ! 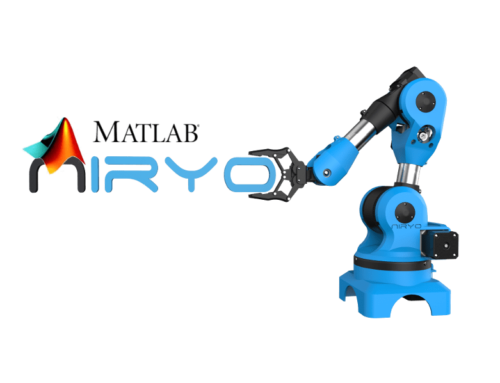 If you missed the Kickstarter campaign, you can now order Niryo One. During the Kickstarter campaign we worked a lot on the servomotors because we were not satisfied with the ones we’ve been using : too much wiggling, some unexpected overheat, and a bunch of other problems. After some tests, we decided to change the servomotors and we now use Dynamixel XL-320 servos. Axis 5, 6 and grippers will be equipped with those servomotors. Dynamixel is a well-known brand for industrial and hobby servomotors. Their motors are high quality, and offer a very nice precision and control. You can control them with position, velocity, torque, and also read those values from the motor. Axis 5 and 6 trajectories will be much more smoother, no more wiggling or unwanted small movements. Axis 5 and 6 range will be increased (more than 180°, which is the limit of other servomotors). Dynamixel XL-320 servos can go up to 300°, so axis 5 and 6 will have a much better range (limited by the mechanical structure). 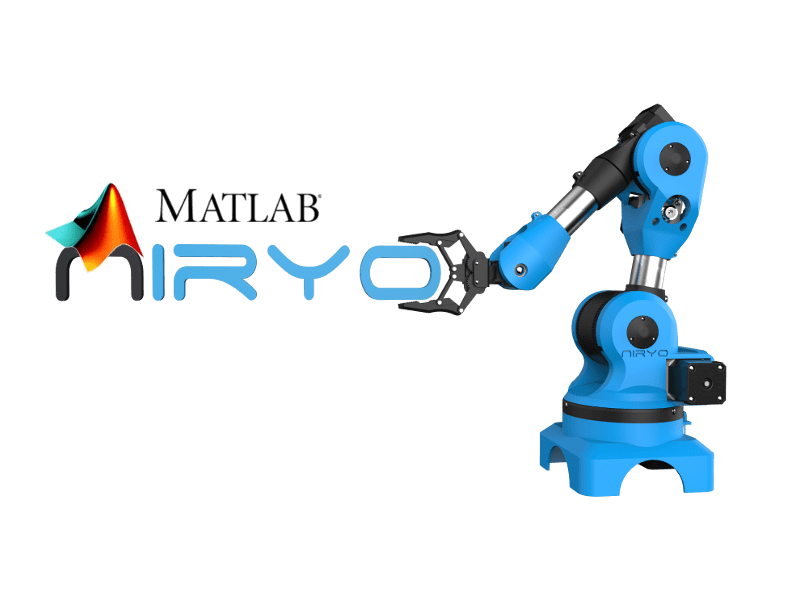 More information will be returned to make the robot more clever, for example the gripper can now grab an object and adapt the torque depending on the object width. LEDs will be used to give some signals (robot ready, initialization phase, problem detected, etc) and thus improve the user experience. They can also be used to show off during an exhibition event ! We’ve also worked on the user interface during the last month. On the Kickstarter campaign page you can see a draft of the robot control dashboard. We’ve improved it so it can now be used on any computer, tablet, and smartphone. We are still working on this interface. Graphics will be totally changed to be nicer, we’ll add a lot of new functionalities, and we’ll connect this application with our cloud service. A native Android application is also under development. How to get Niryo One now ? 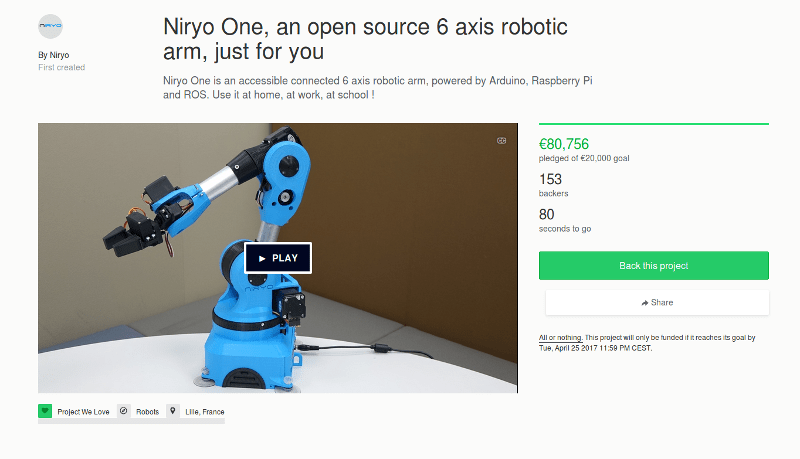 Well, the Kickstarter is now over, but here is a good news : you can now order Niryo One ! 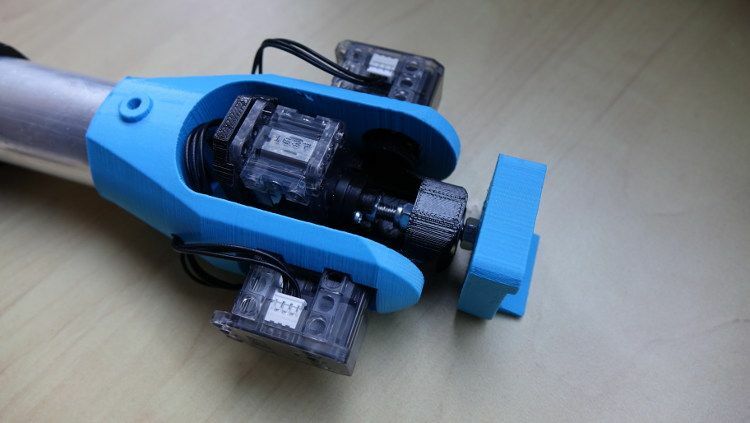 If you’ve missed the Kickstarter campaign, this is a good opportunity for you to get the robot.